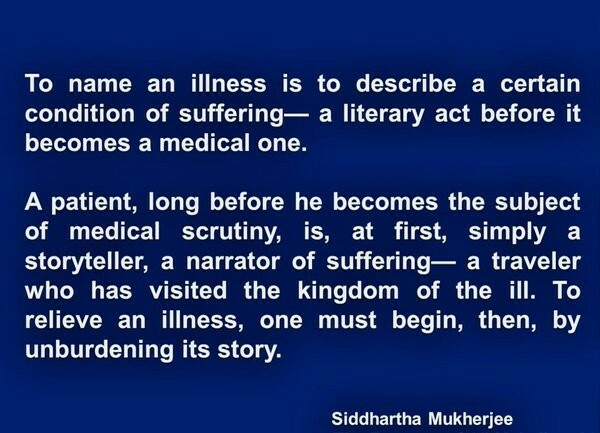 This is definitely one of the best ways to understand the ailment in its entirety. However, given the long queues at our clinic, time is becoming a scarce resource. We need to listen to the patients so that we understand the intricacies of the disease & also not miss out on anything. However, you can help us in this endeavor to listen to every important point of yours with these smart tips. 1. Always remember that if you organize everything before the visit, you can make the most out of it. 2. For the first visit, a neatly written description of your history with specific details of hospitalizations & important reports. This is especially helpful especially if there are multiple files. 3. List of all medications including alternative therapy ones. 4. Share details of your family history – these details can help reach a diagnosis. It also helps understand the risk of developing a disease. 5. Always enlist your concerns & particular questions- you will be focused & happy at the end that all your questions were answered. 6. For the follow up visits- discuss your life (personal, professional, family) goals. This helps us understand & plan therapy accordingly. Make your Rheumatologist a partner in achieving the goals. 7. For the follow up visits- discuss any major life decisions you are planning to take especially if the reason is related to the ailment. 8. Before leaving the clinic always check that you have understood all the medicines. 9. Ask for any warning signals that you should watch out for & report immediately. This entry was posted on Thursday, May 5th, 2016 at 1:30 am and is filed under Uncategorized. You can follow any responses to this entry through the RSS 2.0 feed. You can leave a response, or trackback from your own site. Thanks for the guidelines which are not only highly useful but also helps the patients to make the consultation more worthy as it is mentioned . Good points/ ground rules!